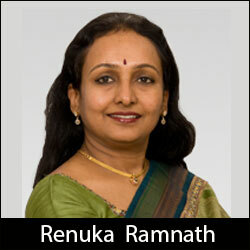 Renuka Ramnath-led private equity firm Multiples Alternate Asset Management has raised $400 million (Rs 2,537 crore) from international investors for its second fund and has also upped the target size of the new fund by a fifth to $600 million, sources said. If it is successful, Multiples will cross the $1 billion assets under management (AUM) mark, coupled with the assets under its first fund. As first reported by VCCircle, Multiples was earlier targeting to raise $500 million in its second outing and had already got commitment of $300 million last December. The PE firm is looking to tap the domestic investor base too, in a departure from the conventional fundraising model for sector-agnostic private equity funds in India. Realty funds regularly raise domestic capital to invest in property developers in the country but larger PE firms primarily bank on overseas institutional investors. A source privy to the development said the remaining $200 million of the target corpus is proposed to be raised locally. An email query to Renuka did not elicit a response. Multiples had raised its maiden $405 million fund in 2011 wherein Canada Pension Plan Investment Board (CPPIB), Dutch pension fund PGGM, UK’s CDC Group and pension and sovereign funds from Europe and West Asia were the anchor investors. The Economic Times which first reported that it has raised $400 million named the same firms as anchors for the new fund too. Renuka told the newspaper that she is looking at an investment mix of 10-12 international investors and 30-40 family offices in India. Some of the Multiples' portfolio include multiplex company PVR, Murugappa Group's NBFC Cholamandalam, e-tailing focused logistics company Delhivery, textiles major Arvind, and Indian Energy Exchange. Early this year it made its first full exit from a portfolio firm by selling all shares of South Indian Bank. Multiples was founded in 2009 by private equity veteran Ramnath, who stepped down from the position of managing director and chief executive at ICICI Venture, the PE arm of ICICI Bank Ltd, to start her own firm. Many other India-focused PE firms are on the road to raise new funds. CX Partners is looking to raise $400 million; India Value Fund Advisors has raised $500 million and aims to make a final close at $700 million in two months; Everstone raised $301.5 million and is eyeing as much as $700 million.